Being married is a funny thing. We take someone we love and are so excited about and then we make them ordinary. I am a yoga teacher and every once in awhile someone asks me if I still love yoga, even though it’s my job. Of course, I still love it, but it’s different. It can get boring sometimes, like anything, the more familiar you become with something, the harder you have to work to keep it interesting. When my husband was my boyfriend he existed for only me. His relationship to his friends and family didn’t really include me, his co-workers, his hobbies, his quirks… I could approach it all like one of those sushi menus where you simply check off what you want and ignore the rest. Once you get you married, you get it all. All the relationships that didn’t include you, are now as much yours as the vows you took. It’s more than choosing every item on the menu, in marriage you have bought the whole restaurant. And it gets even more complicated when you have children. Your husband is now a father, and you regularly discuss, among other things, poop, which eventually gives way to the only thing less exciting; youth sports. 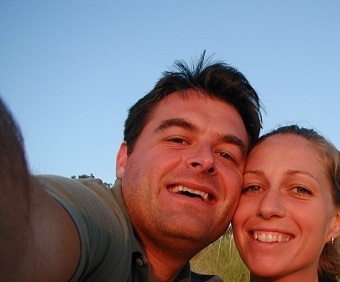 Before we were married, and even into the first years of our life together, my nighttime routine didn’t just involve teeth brushing and face washing. I would also carefully choose a pretty nightgown before heading up to bed. I now insert a mouth guard to prevent tooth grinding, wear a compression garment to relieve pain in my right hip, and pull up an old pair of sweats. I can’t even remember what it felt like to be self conscious around my husband, but my hunch is that the more comfortable we are with someone the less they give us butterflies. Sometimes, when we are in the car together, Colin will run out of his own material to think about and ask me what I am thinking. When I actually hear my thoughts out loud, things like “I was trying to remember which car just had the oil changed, or wondering why the A&P was able to charge a dollar more for cherries than Stop & Shop even though they are right across the street from each other.” I am startled by how boring they are, but what I love about Colin, is that I can be that boring, I can wear a mouthguard and he will still snuggle close to me in bed. To me a good marriage is one where you can be dull, or restless, you can be grumpy, or tired, or giggly, or hyper. You can obsess out loud about details that your spouse doesn’t care about –like whether or not your neighbors are really going to leave their garage that color– or the cost of gas. Sometimes, when I bring up a subject like Yoga, which I love and Colin doesn’t, I can see his eyes glaze over, but he loves me, so he will let me discuss the ins and outs of a pose or yoga drama and politely offer his thoughts if it seems like I need them. Now, I hope that we’ll be able to just sit together after 50 years and look at each other, and see all our faults, our bad haircuts, our quirks, our missteps, and still enjoy being together. No one believes in me more than Colin, he takes enormous pleasure in my successes, and can almost always re-frame a disappointment so it stings less, and because he really see’s me and I know he really see’s me, I have started over time to really see myself, and to believe that maybe I really can do anything. Sometimes, I look at new couples and I am envious enough to hate them a little. I would love to go back to a time when I could pretend to be glamorous and funny all the time in front of Colin even if we both knew it wasn’t real. I would love to still get that little chill when I knew he was coming home, instead of just being relieved that now that he is here, I can maybe deal with our kids less. I don’t think that butterflies, and chills are sustainable. Not because people are inherently incapable of staying excited about each other, but because when we first fall in love it isn’t just about the other person. It is the thrill of finding someone who believes that you are funny and attractive, who laughs at your jokes, and is willing to believe that you never wear sweats to bed. Someone who can look at you and see this very best version of yourself and believe that it is actually you. That is thrilling. So, the butterflies disappear, and fly off with all the illusion, but what they leave behind can be way better. What they leave behind, is the comfort of knowing that if you let someone love you — with your mouthguard in, an ace bandage around your waist, and high school sweatpants– they just might. When someone loves you that much, you learn to love yourself that much too, and that is what happiness feels like. Next postWhat did you have for breakfast? You are an amazing writer and sum up marriage so well. I read this to Peter as we barreled down I 95 and it warmed the cockles of our hearts. Right on target!